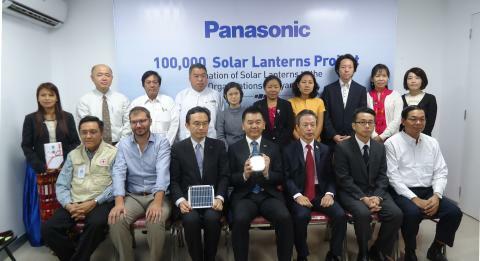 Yangon, Myanmar, 29 January 2016 – As part of its global “100 Thousand Solar Lanterns Project”, Panasonic donated 2,400 solar lanterns to 11 Humanitarian and Non-Governmental Organizations in Myanmar, bringing the total number donated to the country to 9,464. 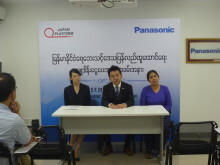 The donation ceremony was held at the Panasonic Showroom & Service Centre in Yangon. 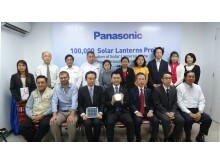 Launched in 2012, the Panasonic global “100 Thousand Solar Lanterns Project” targets to donate 100,000 units of the compact lighting devices to areas in emerging and developing countries with limited access to electricity by 2018, the company’s 100th year anniversary. Currently, an estimated 1.2 billion people, or about 17% of the world’s population live in areas without electricity. Availability of light and electricity affects quality of life. The “100 Thousand Solar Lanterns Project” came about with the aim to provide electricity to enhance access to education, healthcare and business opportunities through the use of the company’s own technology and product. Each solar lantern is attached to a solar panel. Through the use of renewable solar energy, the product not only mitigates social challenges, but also contributes to carbon dioxide emission reduction. In Myanmar, 68% of its population is said to have no access to electricity. Panasonic hopes its solar lanterns will provide a better life, a better world for the people of Myanmar and contribute to the achievement of the Sustainable Development Goals (SDGs).